I am very picky about my skincare so I usually pick a product after a lot of research and I am less experimental when it comes to skincare. I don’t want to make my already messy cupboard jammed with products, messier because to be really honest I end up never using half of the things I have. Recently GlamEgo was kind enough to send me a box to try and to my surprise I really liked it. 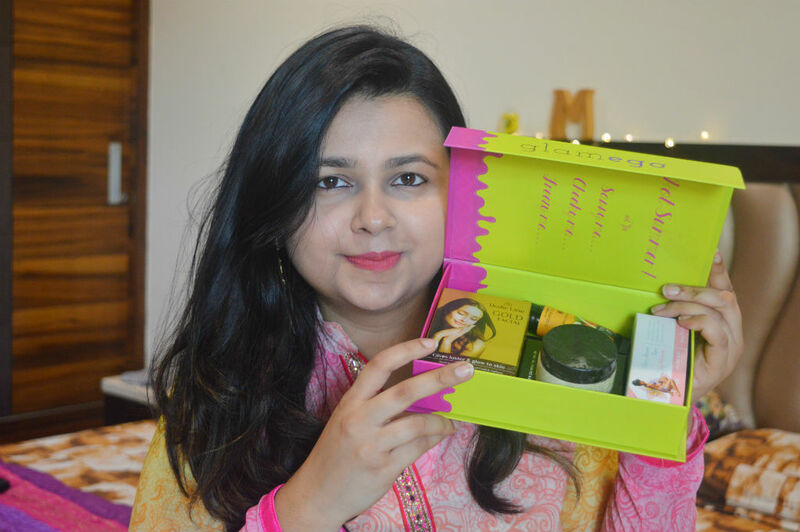 I liked how natural and chemical free most of the products were because that is exactly what I look for in my skincare products. 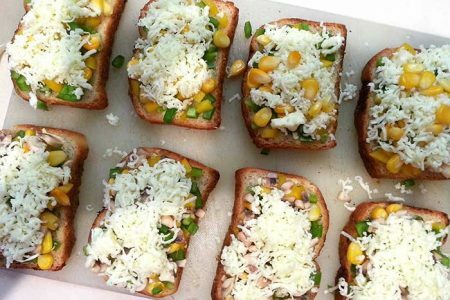 Price: The price for the box is 399/- per month but if you go for 12 months subscription price reduces to 299/- per month which I think is quite cheap for so many good quality products. 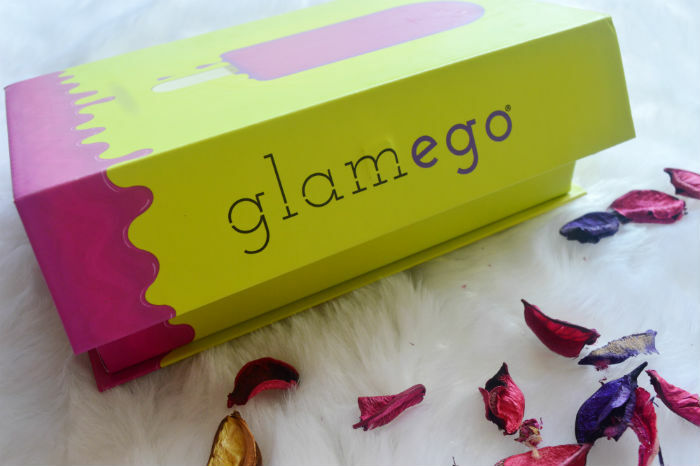 GlamEgo April box was a summer edition. All the products included were apt for summer and had SPF in them. 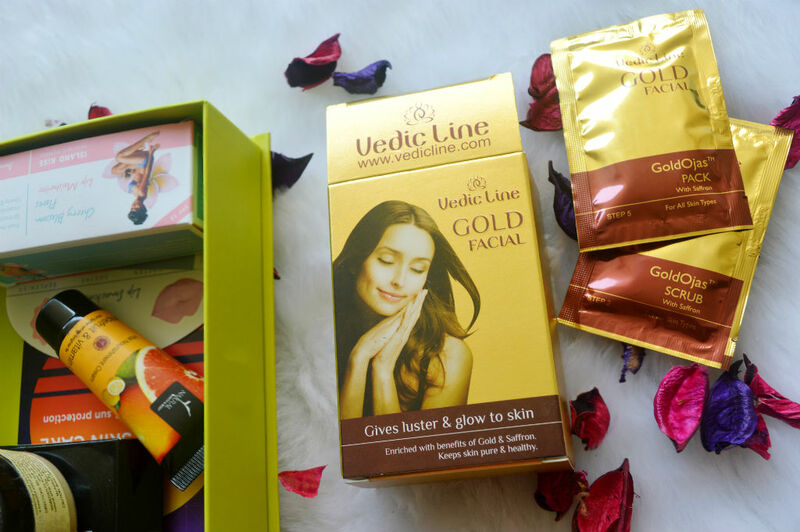 Vedic Line Gold Facial: This is a facial kit with sachets in it which has all the steps written on it. For example first sachet is cleansing sachet which is step 1, second is scrub which is step 2 and so on. So it a complete home facial kit. 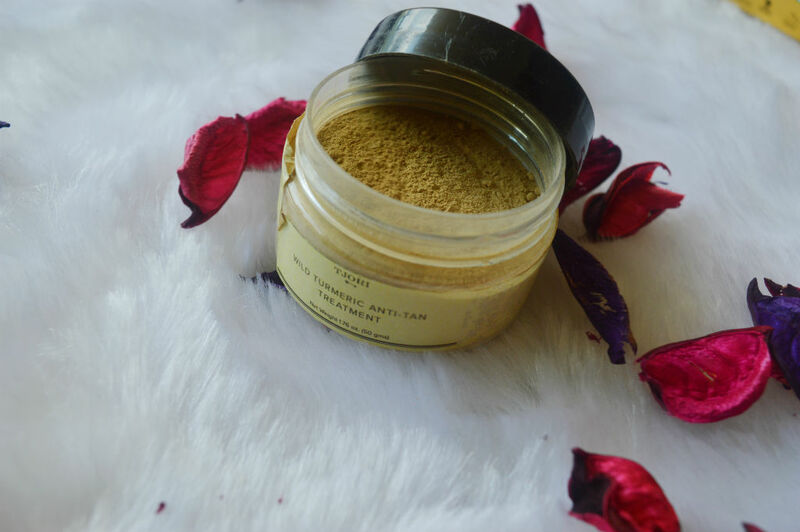 TJORI Turmeric Anti Tan Treatment: For summers, anti tan treatments are must to keep that glow intact. This treatment is in form of powder which has to be mixed with water for usage purpose. 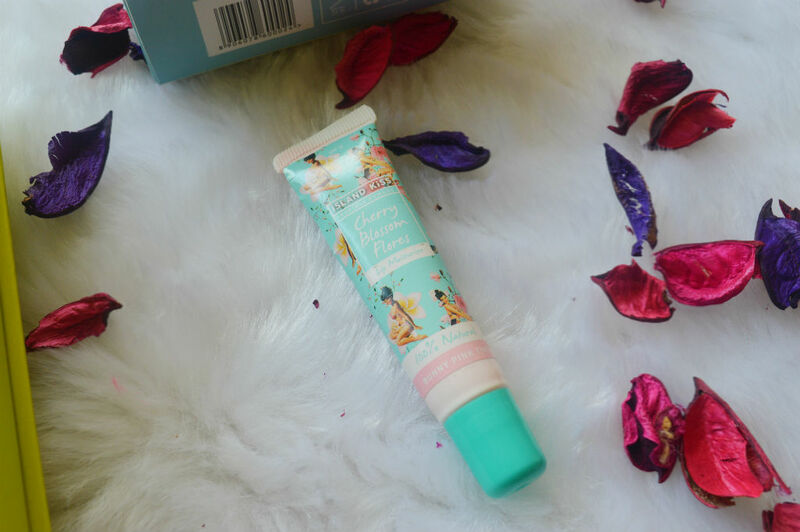 Island Kiss Cherry Blossom Lip Moisturizer : This is my favorite product out of all of them. I have extremely dry lips and this lip balm is very famous in treating dryness. Also, it has SPF in it. It leaves a slight pink tint as well. 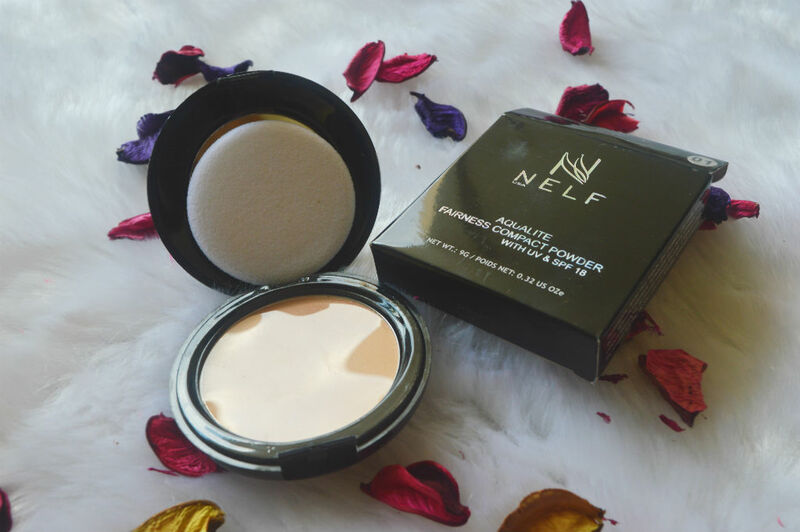 NELF Fairness Compact Powder : Fairness stuff is something that turns me off and on top of that it has SPF which causes major flashback in pictures. Considering I have dry skin I do not think I will use this product. 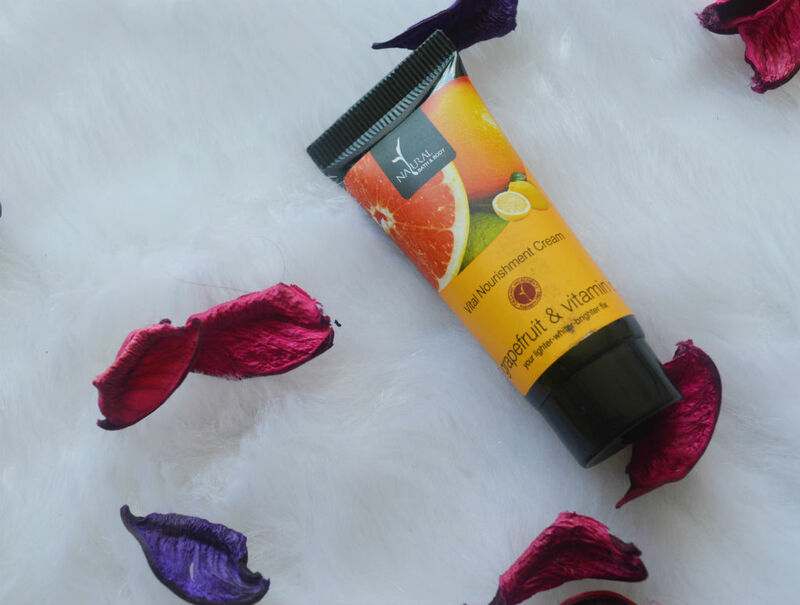 Natural Bath and Body Vital Nourishment Cream: Oh !! This one smells amazing and literally melts in the skin. I am loving this product. I am definitely going to repurchase it. So yes, this was all that I had in GlamEgo April edition. Let me know, if you want a separate review on any of these products. Would love to do that. Thank you so much for tuning in.